A historic gem for Cincinnati is the Cincinnati Observatory located in Mt. Lookout nestled among beautiful, stately Victorian homes. The current building site was constructed in 1873 and houses some of the world’s oldest working telescopes. The main telescopes measure 11 inches and 16 inches in diameter giving amateur astronomers as well as the general public some amazing views into space through their lenses. The observatory was originally located in Mt. Adams. Former president John Quincy Adams presided over the dedication of that observatory in 1843. (Formerly known at Mt. Ida, Mt. Adams was then named after him following that ceremony.) In 1873, the observatory was moved to its current location due to city pollution. The new site was full of open space and was renamed “Mt. Lookout” in honor of the observatory. 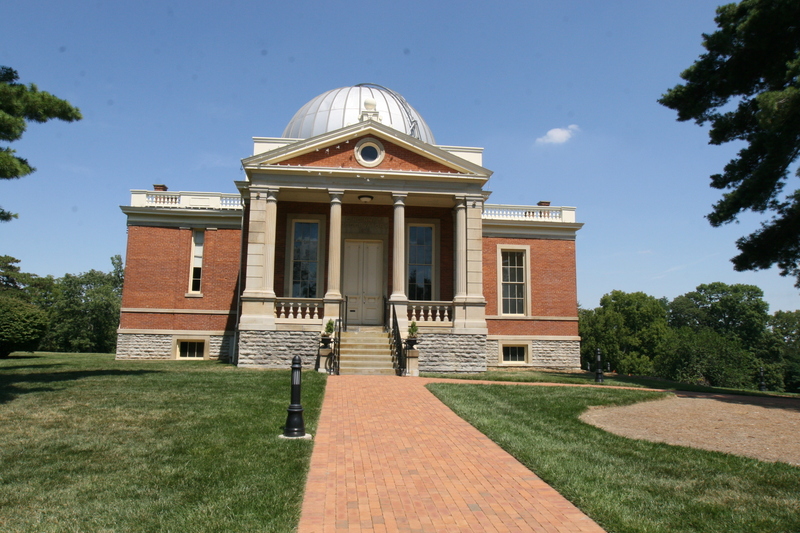 The Cincinnati Observatory is open to the public and many come to see views of the planets, moon as well as eclipses and other interesting celestial phenomena. This entry was posted in Communities and tagged Cincinnati Observatory, Mt. Lookout by susanaknabe. Bookmark the permalink.